Most of us are huge procrastinators and we tend to put off things for quite a while. If you are young, have plenty of friends, things to do and places to be, it can be even harder to sit down and make yourself do something. Studying for the learner's permit test is one of those things people usually start doing the night before the actual exam and that is when they frantically start looking for a magical free practice permit test that will allow them to nail the permit exam in the morning. We are going to show you that you do not have to put off taking a permit practice test till the night of your exam and that you can start doing sample practice exams today. To help you get started and to provide you with some extra ammo for fighting that laziness, here are 5 perfectly good reasons for you to take a practice permit test today! 1. 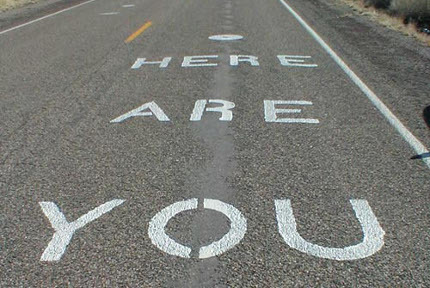 You are here already! You are already on the site that has a free practice permit test available right here and you do not have to search for the web for any other study resources! We have everything you need: a free practice test you can take right now, a drivers manual you can check your answers against, in case you miss something, and detailed drivers license instructions in case you are not familiar with the process. All you have to do is to pick the sample test that is right for you and you can start learning road rules right now! It is as easy as that! 2. Sample exams are FREE! 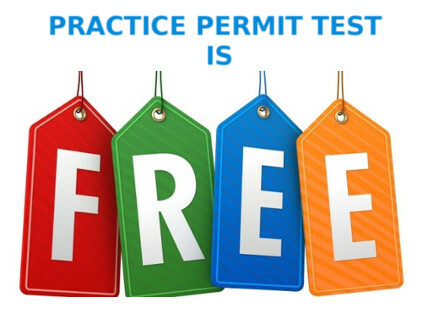 That's right, you heard it right, this is a 100% free practice permit test, you do not have to pay a dime for it! Sure, you could purchase a fancy drivers education program, pay a few hundred bucks for it and your driver's ed class is likely to include some sample permit test questions too, but paying $300 or $400 for it when you can get them absolutely free? I don't think so! Grab your free sample permit test now and spend a few hundred dollars on something else you really wanted to buy! This one is actually no brainer, but most people tend to procrastinate anyway. 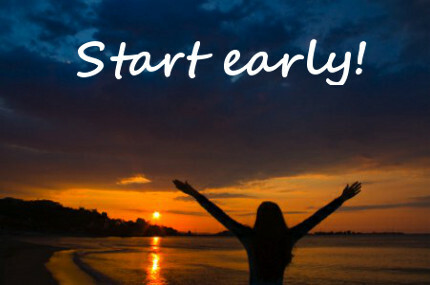 You have to start studying early if you want to pass the permit test easily! This is just the way our brain works, you have to spend some time on materials in order for them to be committed to the long term memory. Sure, you can try to cram the night before your knowledge test at the DMV and you may even be able to memorize enough to pass the drivers permit test, but you are highly likely to forget everything the day after. Remember, when you are studying for the driver's permit test, you are learning traffic rules and road signs you need to know and apply every time you get behind the wheel. Forgetting these rules the day after the DMV test will definitely note make you a good driver and you will be highly likely to fail your driving test in the future! We saw quite a few people asking questions like "when should I start preparing for the permit test" and "how early should I start taking this permit practice test". While everyone is different and it may take some people more time to learn the rules than others, we think that you should allow yourself at least two weeks to learn the rules. Make it a month, if you have that much time. Just read a chapter of the drivers handbook and take 2-3 practice permit tests, noting any questions you may have missed. You will notice your results improving after just a few days and within two weeks you will be able to answer any sample permit test question there is! 4. Taking This Practice Permit Test if FUN! I know it sounds strange, but taking sample knowledge exams is fun! Just think about what you would rather be doing: take this short sample quiz couple of times or sit countless hours in a drivers education class? Imagine the time you have to spend on getting to the classroom, sitting there for an hour or two, getting back home. Now multiply it by 15, since most drivers ed classes will require you to do at least 30 hours of lessons! If you choose to do the online practice permit test, you can do it at home, you do not have to waste any time on traveling and it fits right into your schedule! You can also challenge your friends and have them beat your score! Just invite them over to the website, tell them your score and see if anyone knows the rules better than you do! You can also have group discussions on questions you may have troubles witt and what can be better than hanging out with friends? 5. No Better Way To Prepare For the DMV Test! There is no better way to prepare for the real DMV permit test! While drivers education classes, driver manuals and study guides provide you with information on your state driving rules and regulations, they do not check how well you've learned the materials! 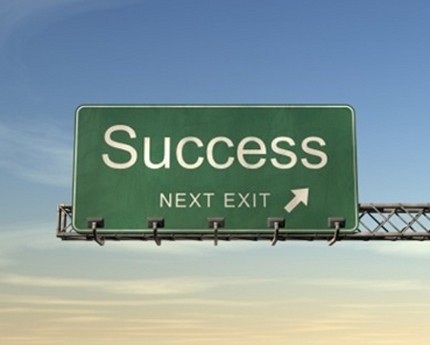 Taking a free online permit practice test answers your question "how do I know I am ready for the real permit test?". If you can answer 9 out of 10 questions every time you take this practice test, it means you are ready for your DMV visit! 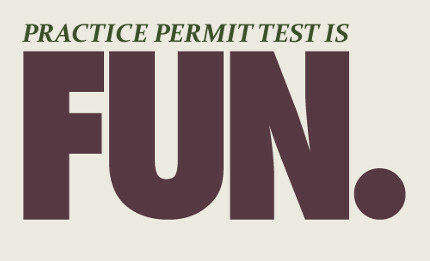 We hope we managed to convince you to finally start studying and do a permit practice test now! If you are about to take your learners permit test and have some questions or need help with the sample test, let us know, we are dying to hear from you!